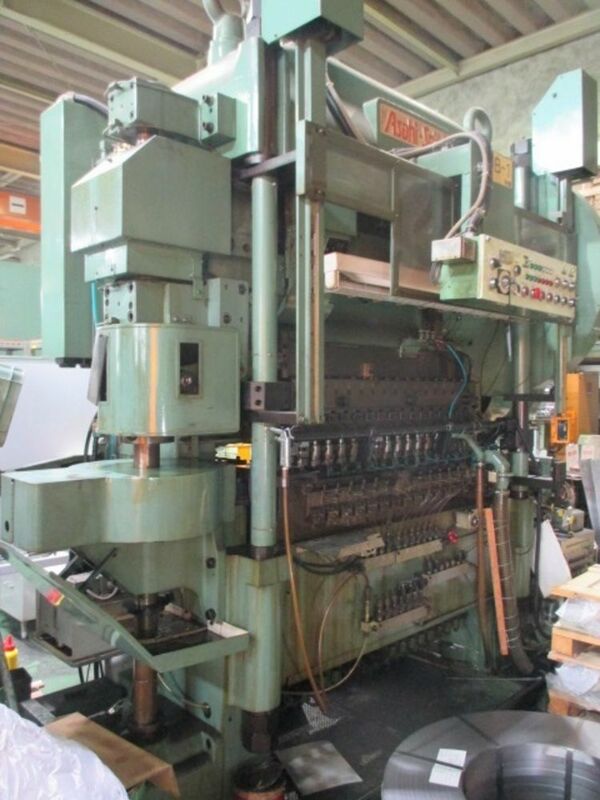 Asahi Seiki TP-75 Transfer Press W/ 3"Stroke & 18 Op Die Set New 1998 Excellent Working Condition! You will receive an invoice via email or Ebay for the full amount owed, including shipping. Please donot pay until you have received the invoice. Items not paid within 10 days from the end of an auction will be relisted. Payments by check will be held up to 4 days until the check clears. We can ship by LTL, partial or full, van or flatbed, double drop, or export container. Freight costs are to be quoted at the time of sale. All freight costs are to be paid by the buyer prior to pickup. Please contact a sales representative for a shipping quote. We ship within 5 business days of cleared payment. Freight shipments may take longer due to palletizing and scheduling. Items lessthan 100 lbs. ship via UPS ground. Freight may be booked with any carrier, but usually goes out on the best available. If a rigger, a lift gate truck, or a residential delivery is necessary, please notify us prior to quoting shipping. If buyer chooses to use their own freight, shipping account, and or carrier, they will be responsible for all scheduling, paperwork, claims, and any damages incurred in transit. Local pickup is always welcome. No handling fees apply on local pickup. Any item not picked up within 30 days from the end of anauction will be charged 10% of item(s) cost per month for storage. You are bidding on a used item. Please be sure to ask any and all questions prior to bidding. SOLD AS IS/WHERE IS. We will do our best to answer specific questions but please be aware that the equipment may no longer be located within the original facility and historical information and photos may be limited. Use Global Machine Movers for all of your rigging in the Waterbury, CT area. Copyright © 2019 Global Machine Brokers. All rights reserved.